Relaxed Italian wine bar with a vast selection that caters to all palates. Antipasti plates go well with the drink, and larger pasta dishes are also on offer. 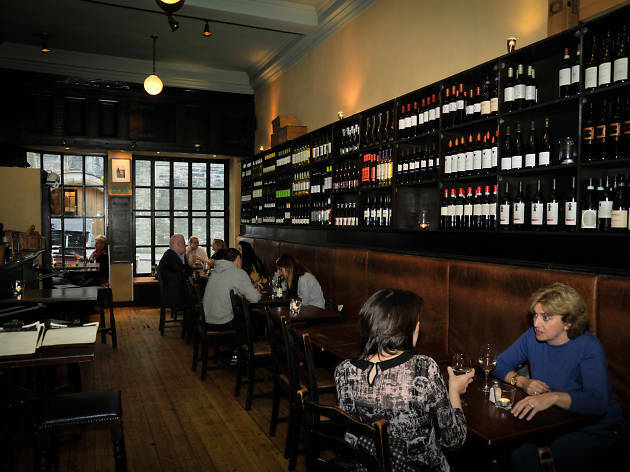 A stalwart on the Edinburgh drinking scene, this intimate little Old Town wine bar attracts a loyal crew of after-workers, weekend shoppers and ladies who lunch. 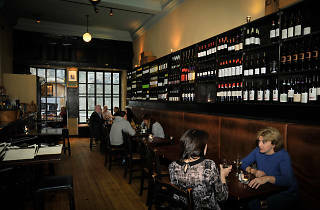 As a relaxed Italian-style outpost, it is best loved, unsurprisingly, for its wine. It’s rare to see anyone nursing the likes of a G&T, and, given the tome-like wine menu, why would they? Split into sizeable white and red sections, with space also given to rose, and ‘fizz and sweet wines’, there’s plenty to choose from. Although it’s a largely Italian affair, there are some suitably robust Spanish, Chilean and Argentinian numbers, with an Australian cab sav and shiraz thrown into the mix. It’s all impressively unpretentious; an intimate setting to sit back and relax in. Should you seek inspiration, bottles line the walls like part of the decor, though the slip recommending the Wines of the Month, is an altogether less taxing use of your time. During summer, you can sit outside, but it’s in the height of winter or on a rainy Edinburgh afternoon that Ecco Vino really comes into its own. Nestle down into the frayed leather furnishings and let time slip by as you enjoy a bottle (or two) of red. Recent times have brought the addition of a lunch and pre-theatre menu, featuring spaghetti, risotto and insalata. But the most fun is to be had with the main menu. The mixed antipasti or charcuterie plate proving tasty companions to the wine. For something more substantial, a plate of the roasted chorizo and pepper spaghetti with fresh tomato sauce, is the perfect excuse for just one more glass.